Although I returned to the UK and I toughed it out for a few years, life just wasn’t the same. 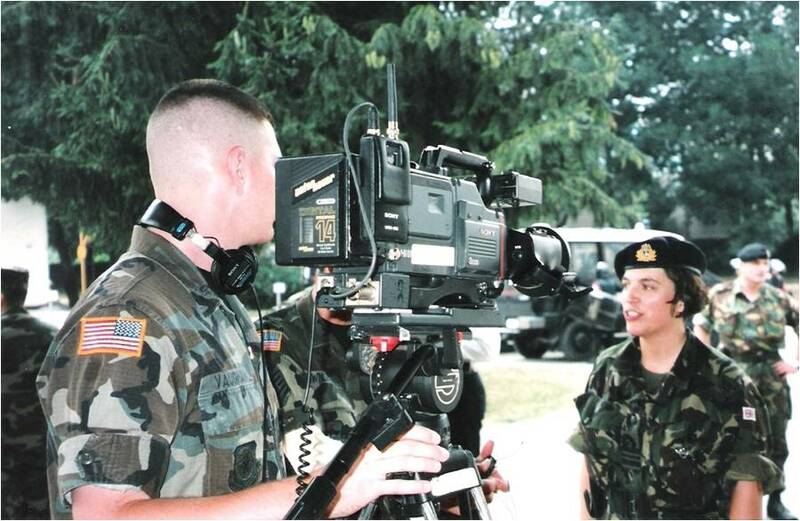 Just as I left a good job with Laura Ashely in 1987 to join the Royal Navy, in September 2003 I traded in a nice secure corporate job with Standard Life in Edinburgh for a three-month contract working for the EU Special Representative in Skopje. As I flew out to Skopje with two bags on October 3 2003, there were a few that thought I was bonkers. At this point you may want to make a cup of tea – although I have split this “story” into three parts, this post covers four years…. 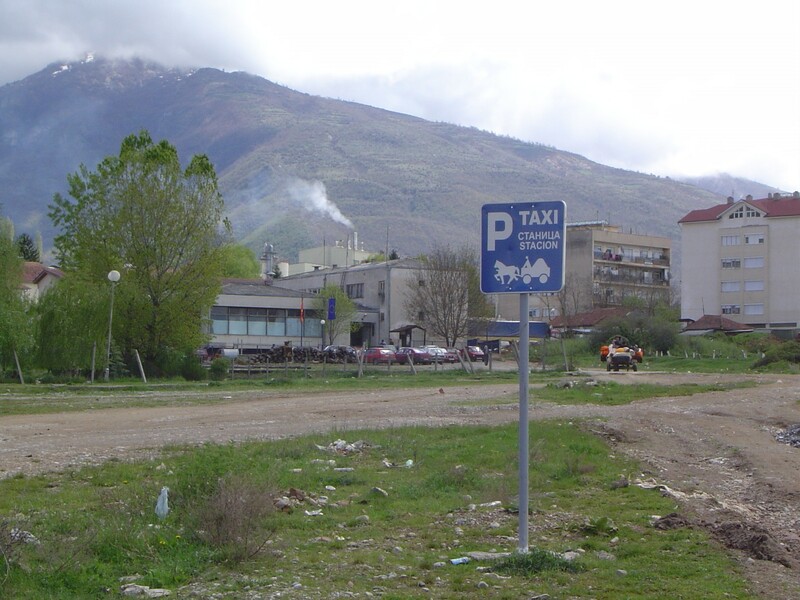 Environmentally friendly taxi stance and approaching taxi in Debar. With some of my EUSR office colleagues. 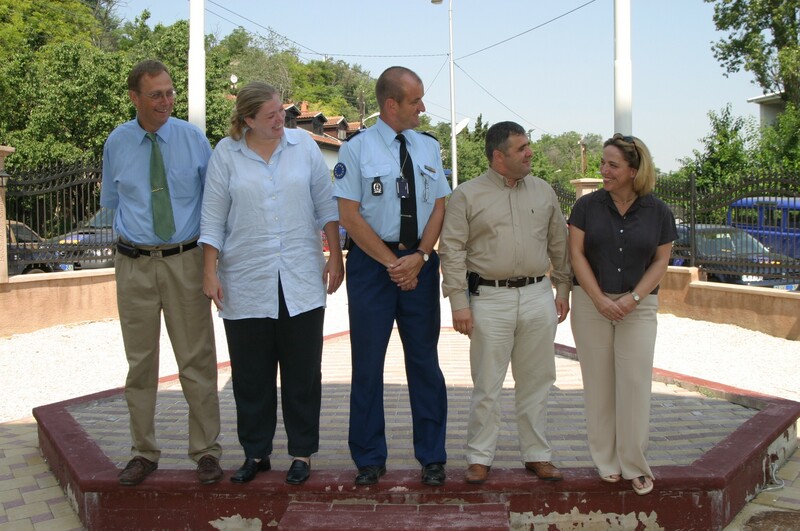 I am used to being the shortest – particularly when working with the Dutch! Enjoying the company of some local girls in Debar. I remember the name of the girl in orange was Rudina. I wonder what she is doing now? My most indelible memories of Macedonia are the stunning and unspoiled scenery, their rich and little known history, the tragic air crash that killed President Boris Trajkovski and his entire cabinet, the great team of people I worked with and the gorgeous produce I used to buy every week at the “green” markets. They were the best! I left Macedonia in December 2004. The IOM Out of Country voting mission Toronto HQ team. 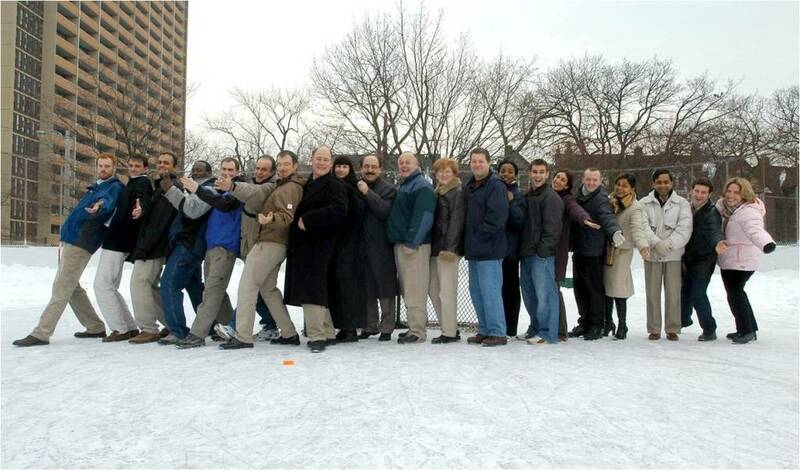 This was taken on an ice hockey pitch close to our office. 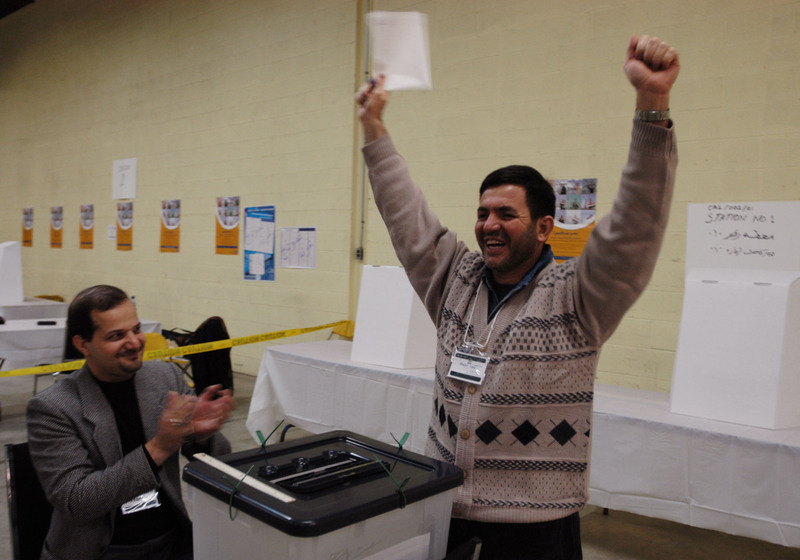 Next stop for me was a short notice eight week contract in Canada working for the IOM, who we running the Iraq Out of Country elections for the new national assembly. All Diaspora were eligible to vote in 16 countries, including Canada. 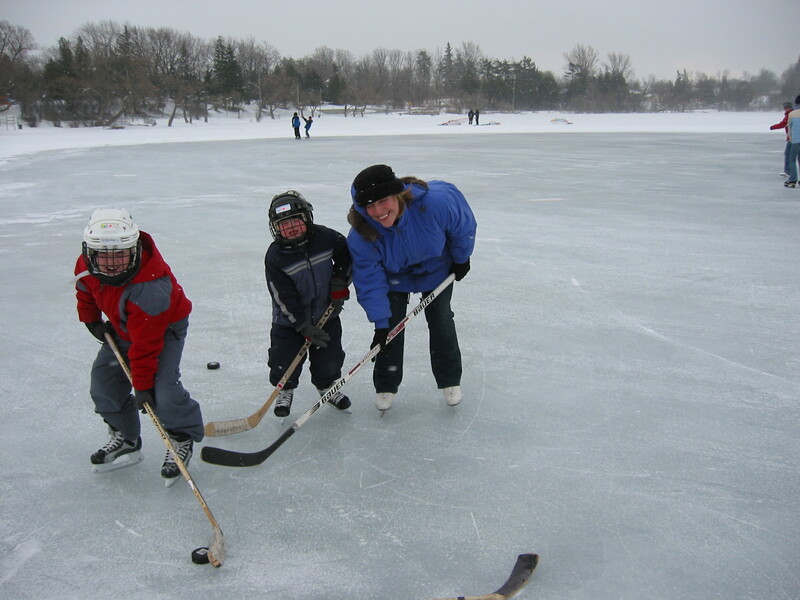 I called my Aunt Liz, who lives near Toronto, It was a Friday morning in early January 2005. Her delight turned to astonishment with the news I was arriving two days later. It was my fastest deployment – and one of the coldest, with temperatures (excluding wind chill) of around minus 26C. As you can see, I worked with some fun people and also visited four voting centres in Ottawa and Calgary. 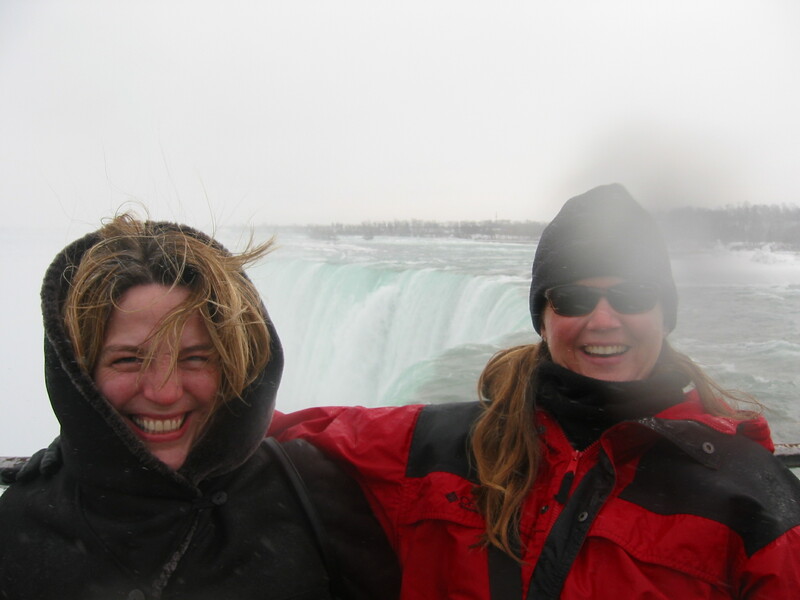 At the Niagara Falls with my cousin Fiona. 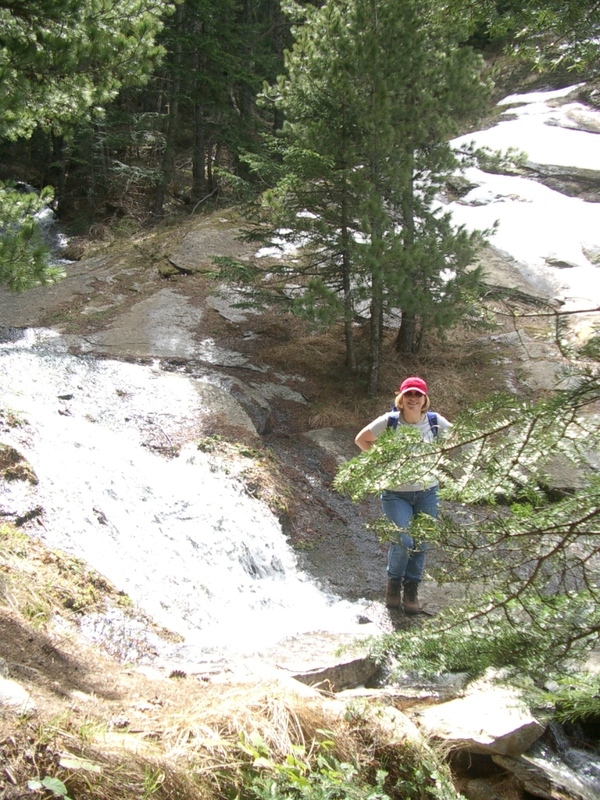 It was well below freezing that day and the vapour from the falls froze my hair! During my short time in Canada, I reconnected with the Canadian branch of my family, which was a massive bonus! Posing for the camera with my cousin Carole’s two sons. Andrew (in red) is at university now! My top memories from Canada was the cold, time with my family there, my friend Althea’s damp braids frozen like sticks, the kindness of the Iraqis and all the winter clothing I had to buy and have barely worn since. I spent eight weeks in Canada. Heading up the Panjshir valley with the stunning Hindu Kush in the background. 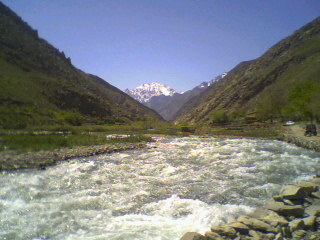 The Panjshir valley was one of the most amazing places I have been to. 2 May – Had to duck automatic gunfire as our car passed though outer suburbs of Kabul. Classic bad timing – 2 were killed a few feet from car. 7 May – UN Offices and guest house in Jalalabad burnt down during rioting (Newsweek article) 14 dead. UN staff evacuated. 5 July – I left Kabul. 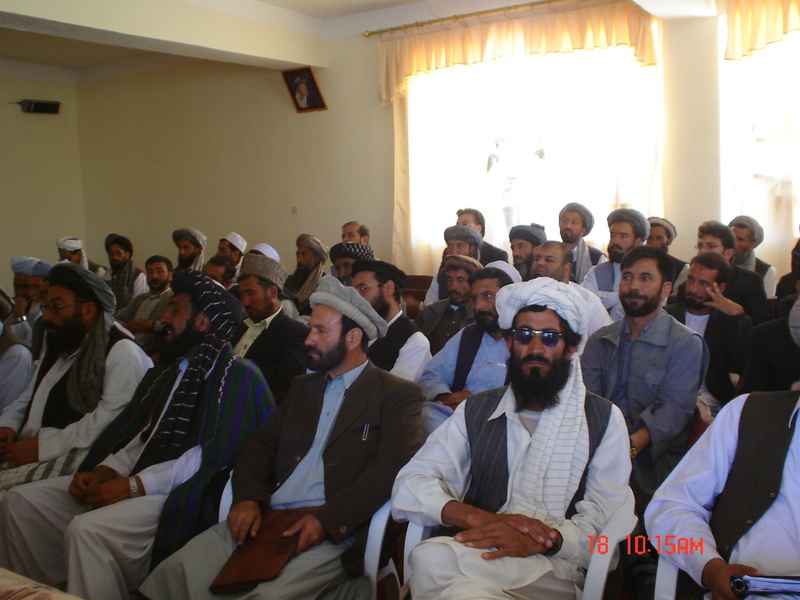 Candidate election brief in Wardak province. This was one of only two buildings left standing in the provincial capital. Despite being in Afghanistan for such a short time and the difficult conditions, I did manage to see some of the country and achieve some success with my work. My job was stakeholder outreach briefing the election candidates in the six provinces surrounding Kabul, including the famous Panjshir Valley. With the help of the amazing UN workers running the provisional elections centres, I managed a briefing in each province. I even managed to do a bit of PR for the election and interviewed a female candidate. I interviewed this lady living in Parwan province and discovered she risked her life to run a secret underground school for girls under the Taliban regime. From Singapore, I took advantage of the unexpected time to myself and my location to explore the region, travelling to Thailand and Malaysia. 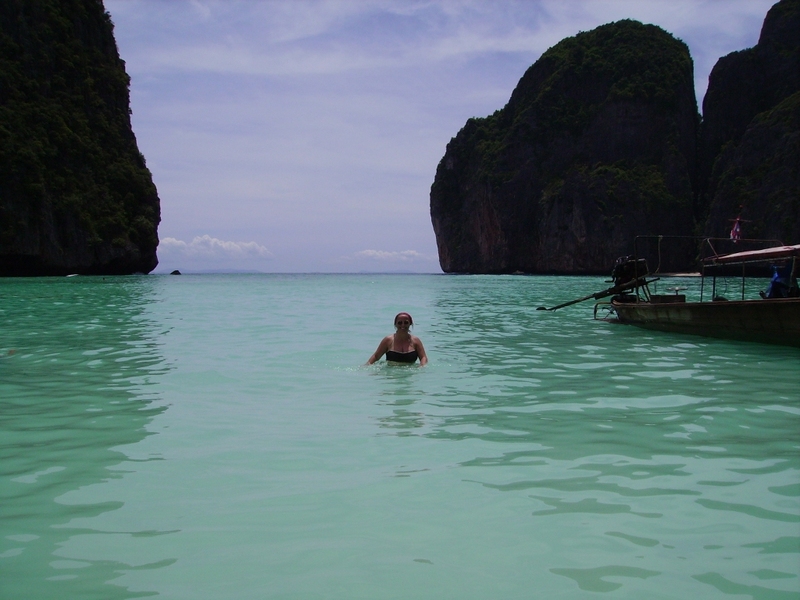 This is the famous beach on Kph Phi Phi Lei, as featured in the film “The Beach”. I also did my rescue diver assessment and examination here. The most significant thing that happened during this time out was me becoming certified as a SCUBA diver. 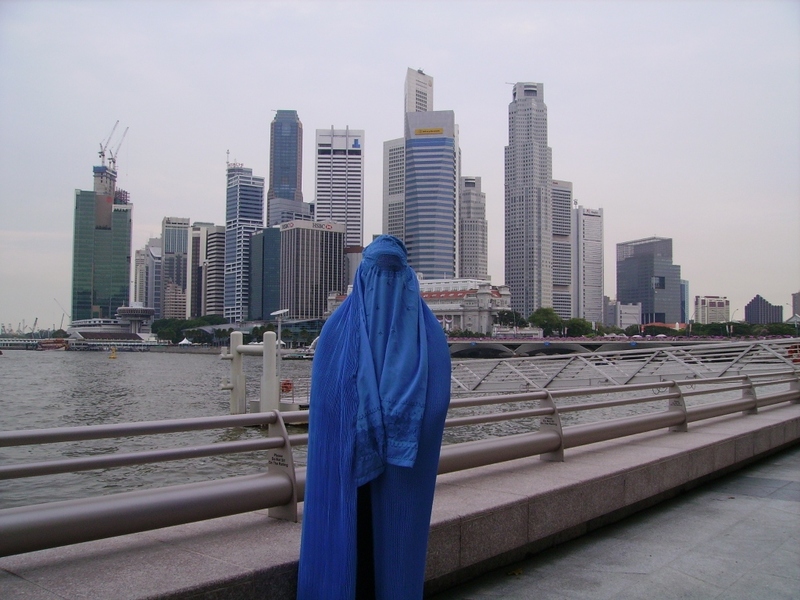 I didn’t plan to – I was sold a 4-star 5 day all-inclusive package at a resort on Redang island, on the East coast of mainland Malaysia. 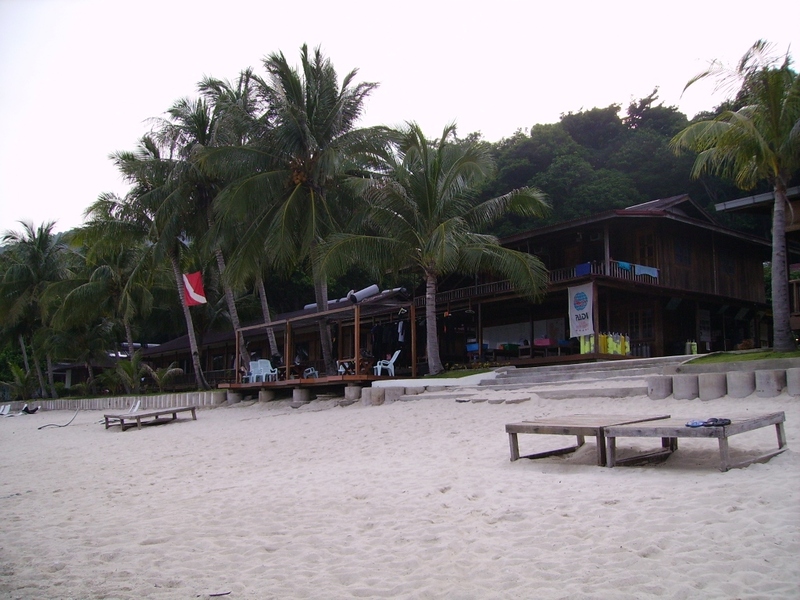 When I got there, I discovered it was a dive centre! It was the best mis-sold package ever. I learnt my fin pivots and buoyancy control watching a turtle eat his breakfast, and on my fourth open water dive I saw a whaleshark. I have been hooked on SCUBA diving since and decided I would only work where there was accessible warm water diving. I concluded my gap year by returning to the UK briefly to attend to essential domestic business. I also “lucked in” with my next consulting assignment, heading to Cairo which meant weekend diving on the Red Sea! 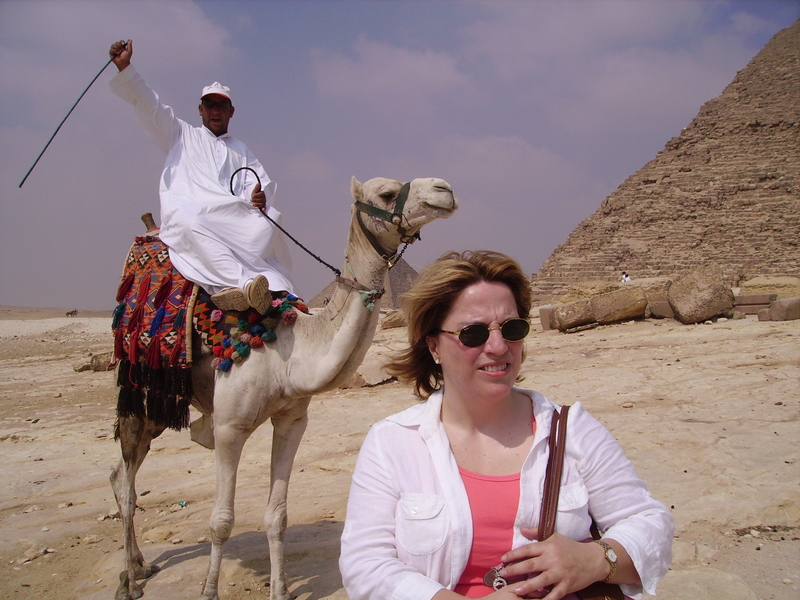 A popular trade at the pyramids – camel owners charge $20 to pose in shot. Photo bombing was the result if you declined. A better picture I think! 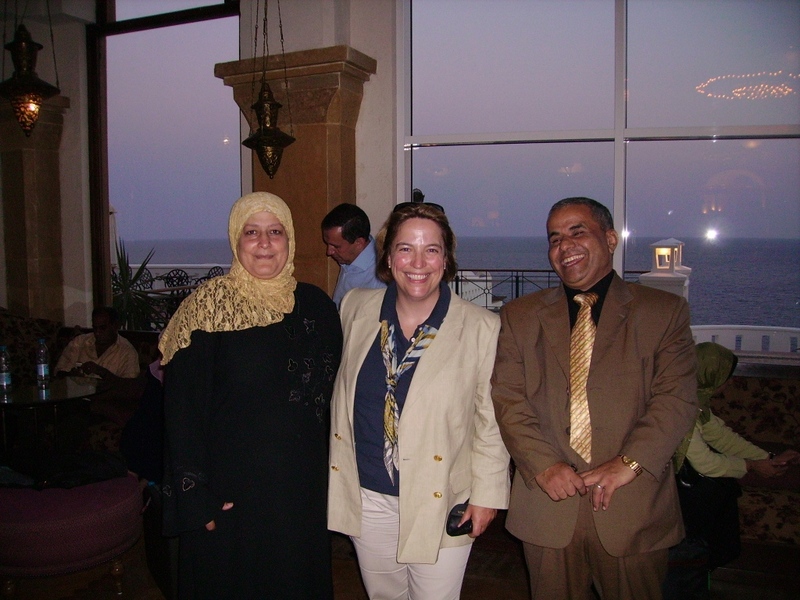 I spent a total of 12 months in Egypt as a USAID contractor on an economic reform project. I worked with British, Canadian and Egyptian colleagues at the Egyptian Tax Authority and lived in hotels – the Semi Ramis near Tahir Square, then moved to the Four Seasons First Residence in Giza. Most weekends I would head to Oonas Divers in Sharm el Sheikh. During the week, in the evening I would often head up to Khan al Khalili, the oldest bazaar in the Middle East, just for the entertainment. I once walked past a stall holder who, in his efforts to attract my custom, called out “For you I kill my wife”. This epitomised the fantastic sense of humour Egyptians possess. 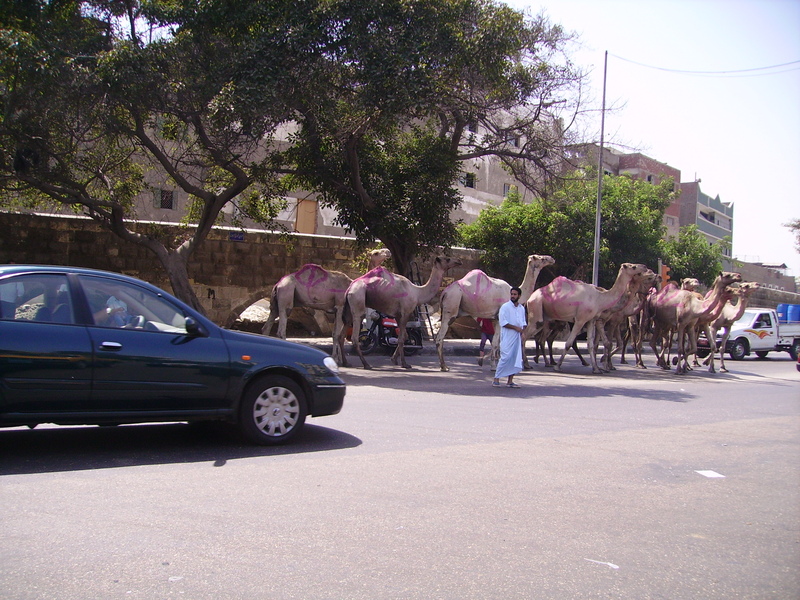 I had planned an extensive trip around Egypt when I finished my contract, but I had to drop everything and headed back to the UK in July 2007 for a few weeks due to sudden family illness. Part 2 of being an expat for 10 years will follow shortly! 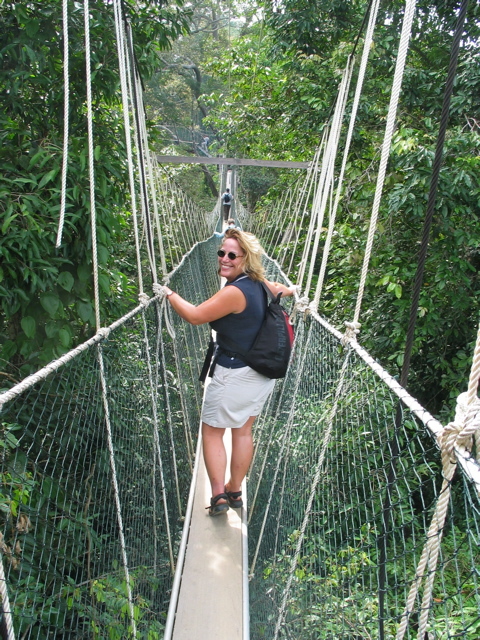 This entry was posted in Afghanistan, Canada, Egypt, Macedonia, Malaysia, Other Travel Adventures, Thailand and tagged Cairo, Kabul, Panjshir Valley, Redang Island, SFOR Sarajevo, Skopje, Toronto. Bookmark the permalink. ← One year on and clearly coconuts….. I pay a quick visit day-to-day a few web sites and blogs to read posts, but this website offers feature based articles.